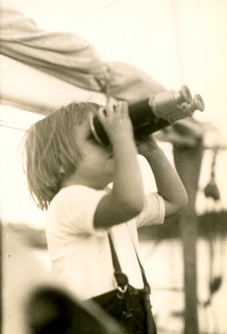 Here I am on my Aunt Dolly’s boat, Star Dust, age 3 1/2, already taking the contrary view. I am an art historian, museum director and journalist who specializes in modern American art. A native of New York City, I received my A.B. in studio art from Adelphi University and my M.A. in art history from Case Western Reserve University, where my research focused on the New Deal federal art patronage programs. I also studied sculpture at the Brooklyn Museum Art School, where I held a Max Beckmann Memorial Scholarship, and at Hornsey College of Art in London. 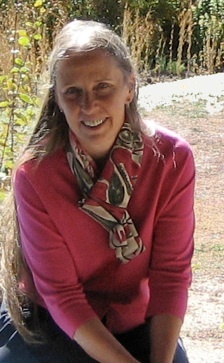 In 1990, after serving as curator of the Parrish Art Museum in Southampton, NY, director of the Public Art Preservation Committee in Manhattan, and curator of Guild Hall Museum in East Hampton, I became the director of the Pollock-Krasner House and Study Center, a National Historic Landmark museum and research collection in East Hampton that is administered by the Stony Brook Foundation. I have also been a guest curator at the Queens Museum of Art in Flushing, NY, have taught at the School of Visual Arts, and hold an adjunct faculty position in Stony Brook University’s Department of Art, Art History and Art Criticism. I’ve lectured widely on modern American art, and for five years my visual art commentaries, “Art Waves,” were heard on WLIU 88.3 FM, Long Island’s NPR affiliate. From 1978-2006, I wrote art reviews and feature articles for the Long Island section of The New York Times. My articles, essays and reviews have appeared in many publications, including the Journal of American Studies, Prospects, American Art, Provincetown Arts, Wintertur Portfolio and the Archives of American Art Journal. I’ve also written many exhibition catalogues and contributed to several multi-author publications, including Ary Stillman: From Impressionism to Abstract Expressionism (Merrell, 2008), Abstract Expressionism: The International Context (Rutgers University Press, 2007), Elaine de Kooning (Georgia Museum of Art, 1992) and Remembering the Future: The New York World’s Fair from 1939 to 1964 (Rizzoli, 1989). You’ll find snapshots of my books and catalogues on the Publications page.